A. had brought us three fruits of christophine ; she told us about their adventures before they finally started feeling at home in her garden. 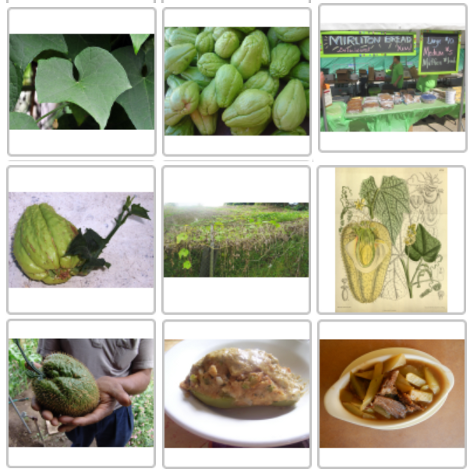 Here are a couple of free pictures about this tropical plant, and the way it can be cooked, chosen from this page. I. spent some time in Portugal and came back through Santiago-de-Compostela, before going to Catalonia where the weather was stormy and rainy. A. went walking with her family in the Cevennes mountains, where it was raining at night everyday and which were unusually "as green as Ireland". She took part in the Protestant meeting "of the Desert". Camisards were Huguenots (French Protestants) of the rugged and isolated Cévennes region of south-central France, who raised an insurrection against the persecutions which followed the Edict of Fontainebleau in 1685. 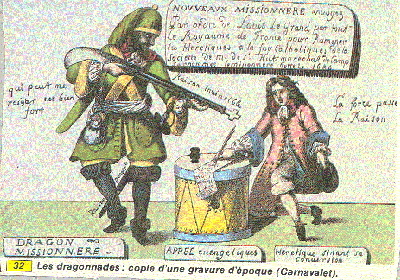 The revolt by the Camisards broke out in 1702, with the worst of the fighting through 1704, then scattered fighting until 1710 and a final peace by 1715. The name camisard in the Occitan language is variously attributed to a type of linen smock or shirt known as a camisa that peasants wear in lieu of any sort of uniform ; camisada, in the sense of "night attack", is derived from a feature of their tactics. 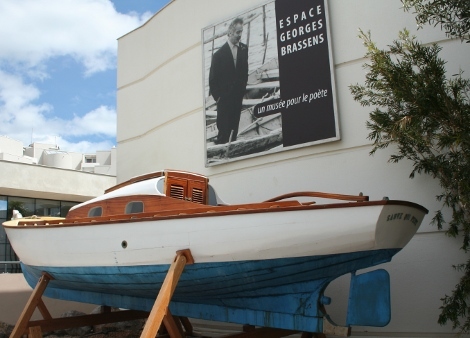 She went to Sète but didn’t have the opportunity to visit Brassens’ home. MC. spent the summer with her children and grand-children ; she enjoyed having her friends around in september ; she’ll be leaving for California in a couple of weeks. M. went to Italy and Spain : we had an interesting discussion about Airbnb. We were so glad to have her back among us after all the difficult months she went through. 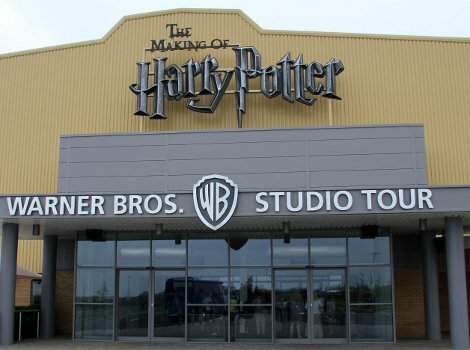 and the Warner Bros Studio. A. went riding through the Himalayas and visited several Buddhist temples. A. read a short story about her younger sister’s accident when she was five. H. sent us a long and very interesting mail from the U.S.
At the end of May, I made a trip to Los Angeles for the first reunion of the group of University of California students who had studied at the Université de Bordeaux during the 1968-69 academic year. This was the first time in 45 years that most of us had seen any of the others. We had a wonderful time and there is talk of a reunion in summer (2015 or 2016) in Bordeaux. 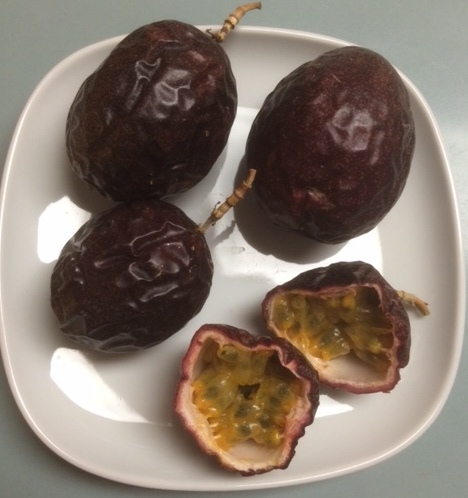 a dozen passion fruits from the bush in the garden of her mother’s house. 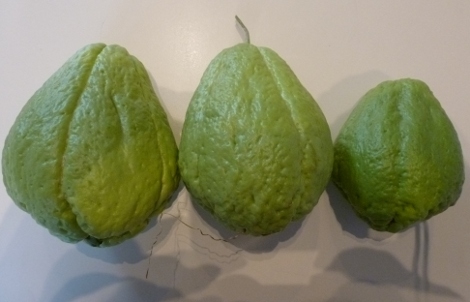 They aren’t ripe until they are very, very wrinkled, some of them have not yet been eaten. 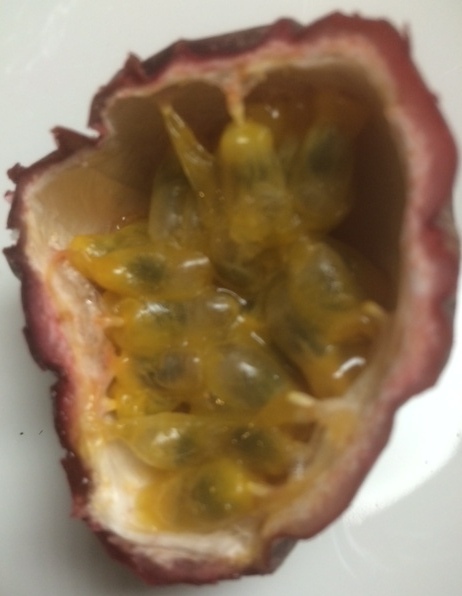 Here are photos of the ones that are left, including the one that she just ate (the one cut open). Thanks a lot H, we’ll read your message aloud next tuesday.